Start taking classes at WERKout and other studios! 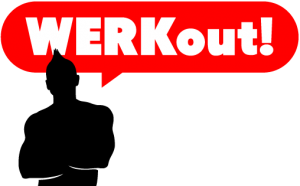 WERKout offers indoor TRX classes at (Alex fitness 2275 market street) every Monday and Tuesday at 9AM and outdoor TRX trainings (Dolores park) every Wednesday 7AM and Saturday. Please read your reservation for the right location. Please bring yoga mat, workout gloves, and water for Dolores park classes ONLY on Wednesday a 7AM and Saturdays at 9AM. Please check email 30 minutes before your scheduled WERKout. *classes can be cancelled or change location due to weather or if classes gets fully booked. Hard but fun! Personalize only 6 people in class. TRX and outdoors! Full body workout! Love this class!!! Beautiful sunrise in the park...and hard but FUN workout! Amazing strength and cardio combination! Hot day today! Bring water! Overall great workout but would have appreciated modifiers. The outdoor workout is a plus!